For those of you that don’t know Venom, he’s basically one of the most well known antiheros to come out of Spider-Man’s universe. Venom is a symbiote that grants superpowers to whatever compatible host he can find. Those superpowers also come with some intense, primal bloodlust as well. The hype train started when Tom Hardy was cast as the protagonist, Eddie Brock (Venom’s host). Seems like a no brainer; this should translate into a great MCU movie. Well, there’s one of our first problems with Venom. It’s a Sony owned movie. So, it’s not set in the Marvel Cinematic Universe. “Okay. Fine. Neither was Deadpool, and that turned out just fine. At least they’re going with the R rating because of Venom’s graphic penchant for violence and eating people.” Strike 2! Just about a month before the film’s release, Sony opted to change the rating from R to PG-13. This was likely in hopes that they could cram Spider-Man in there somewhere, and sell more tickets. Those two issues, teaming up with the poorly cut trailers released for this movie, all started to give me PTSD of another one of my favorite actor/superhero movie combos going down in flames. Green Lantern, I’m looking in your direction. 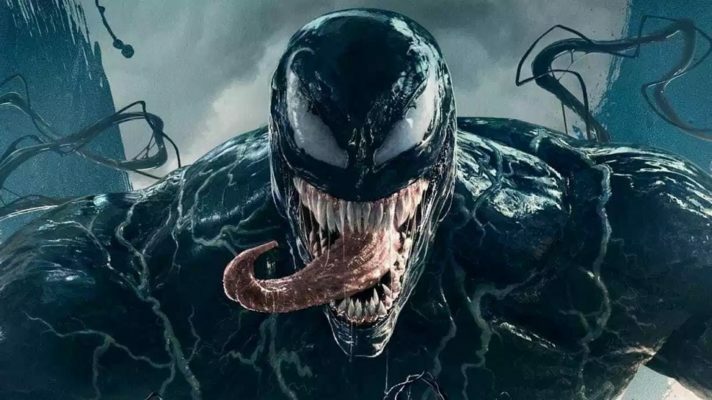 And with Venom currently sitting at a 30% on Rotten Tomatoes (just 4% above Green Lantern) I went into this film with a very low bar, expecting to be let down. But I left the theater satisfied, with a smile on my face, feeling good about what I had just watched. Let’s get into what Venom did right! First and foremost, Tom Hardy did an amazing job with this movie. His physical performance and voice acting were fantastic. I can’t think of anyone that would have been able to do a better job bringing Eddie Brock/Venom to life on the big screen. They did a good job bringing us up to speed with who Eddie is and what kind of person he is, in a quick, digestible manner. Hardy sold both the the stubborn, celebrity Eddie, and the “rock bottom” Eddie perfectly. There was also a fair amount of comedic moments sprinkled throughout the movie, which added the perfect amount of unexpected levity. This isn’t the story of Eddie & Venom being the best version of themselves; this is essentially Eddie being held hostage by Venom, with Venom calling a lot of the shots using Eddie’s body. This leads to an enjoyable relationship between the two à la Doctor Strange and his Cloak of Levitation, in the MCU adaptation. 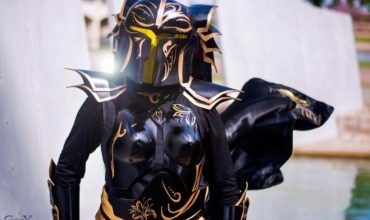 That is, if the cloak could talk, ate people, and occasionally fed into Strange’s self deprecation. All things considered, this was a solid action film, and my take seemed to match the general consensus coming out of that theater. “Wow, that wasn’t as bad as I thought it was going to be.” This was a movie was failed by its trailers. I’m fine with a movie underselling and over delivering. It just makes me worried that it might not get the traction it deserves because of it. I think it’s a great movie for anyone who’s a fan of the comic books or any of you action film aficionados out there. 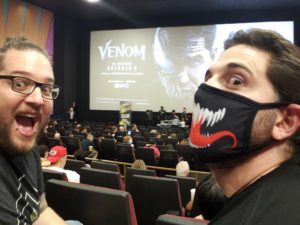 At any rate, I thoroughly enjoyed Venom, and I hope it does well enough for a sequel because SWEET BABY JESUS, that after credits stinger has me hungry for what’s to come! I give Venom a solid 7 symbiotes out of 10! 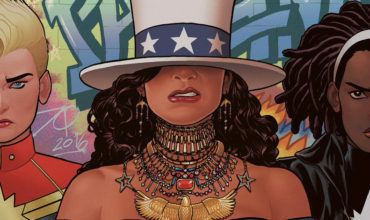 Marvel’s Latest Hero, America Chavez, Is Pretty Dope!